DD3 was so chuffed to receive her Mini Maker box in the post this morning! 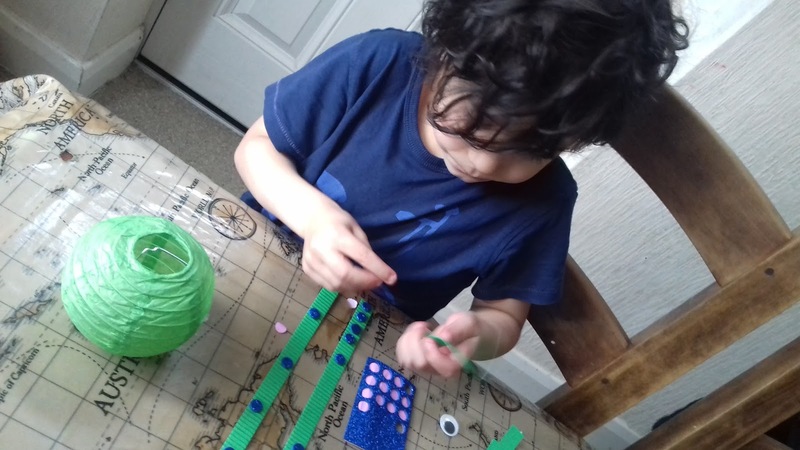 She didn't wait to get dressed and dived straight in!! 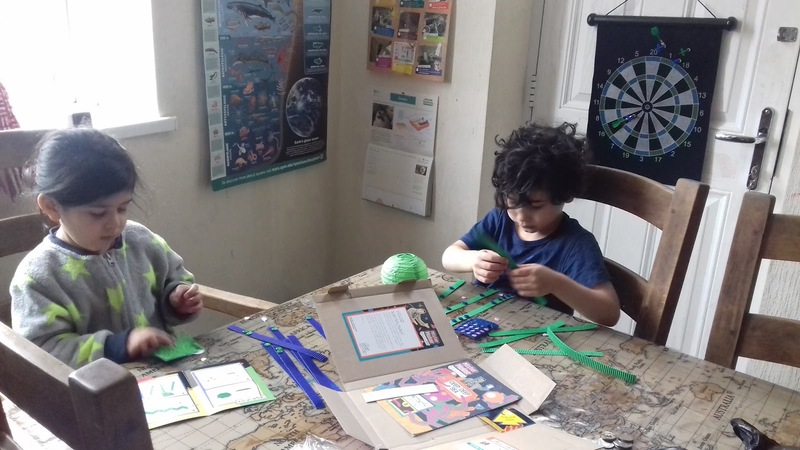 It was interesting to see how different the box would be to the Toucanbox. 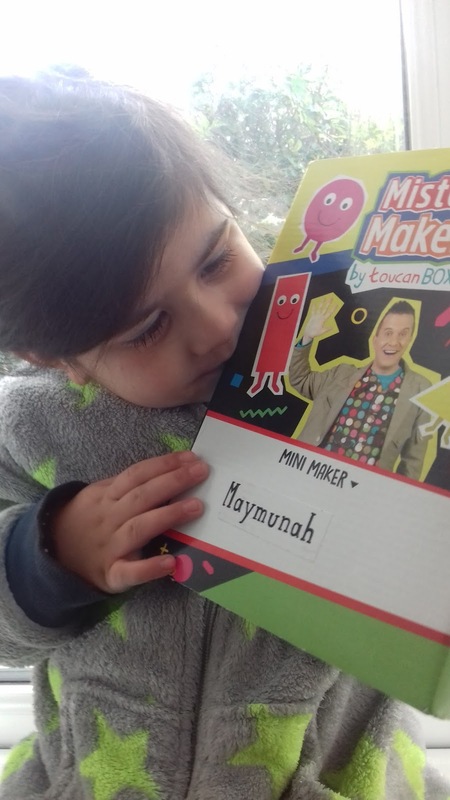 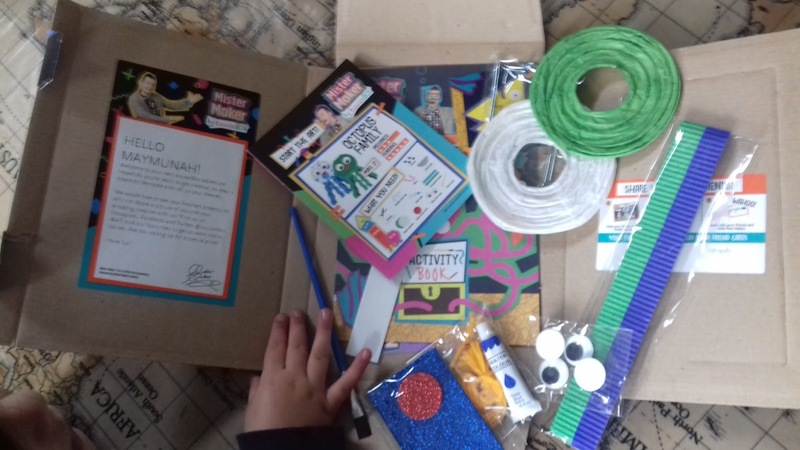 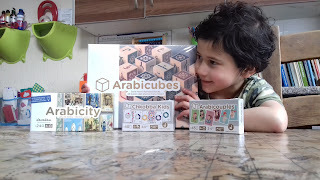 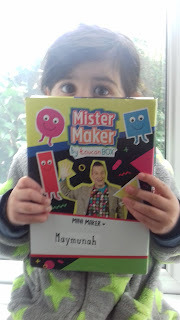 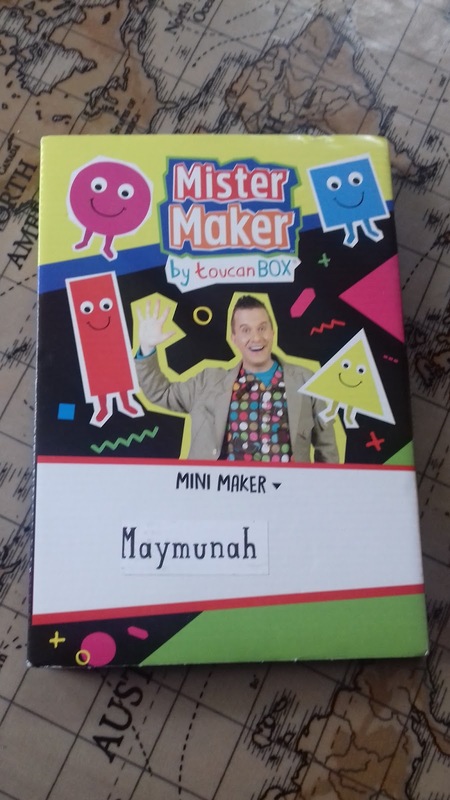 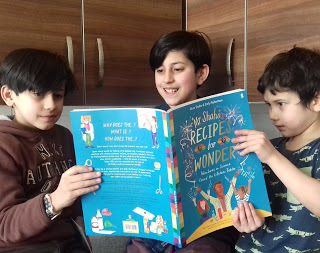 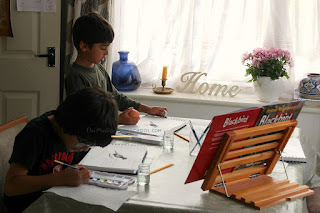 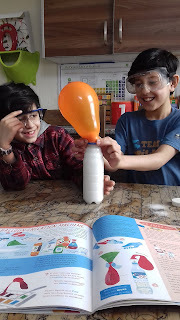 Have you tried a Mister Maker box yet? 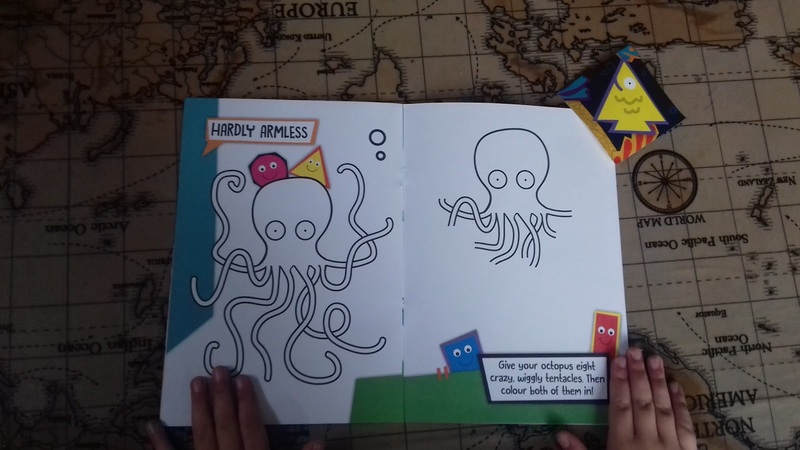 Order one here. 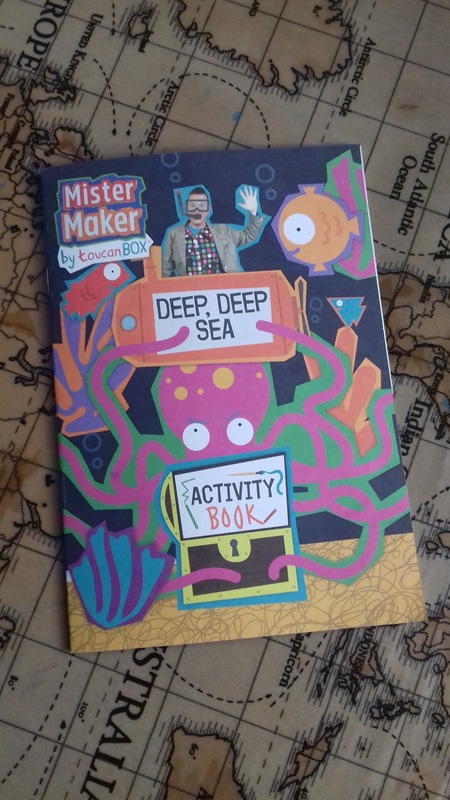 The box contained a lovely octopus craft, perfect for my sea creature fans!! 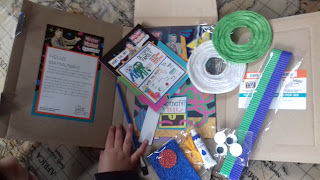 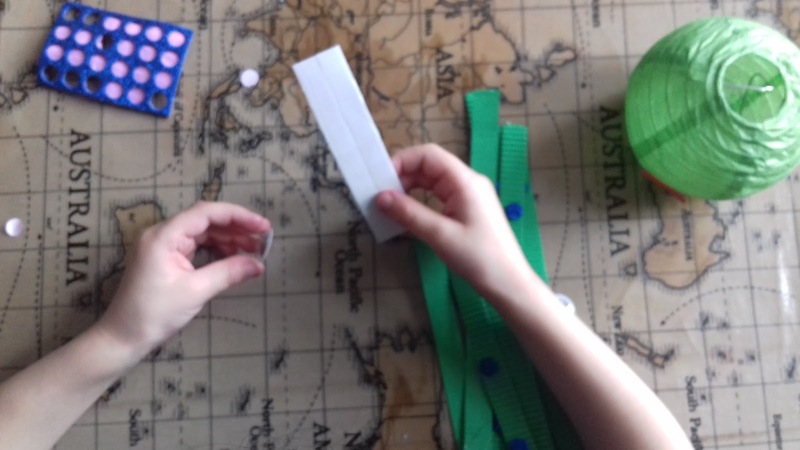 It provided simple, clear instructions, paint, wool, stickers and colouring/puzzle book. 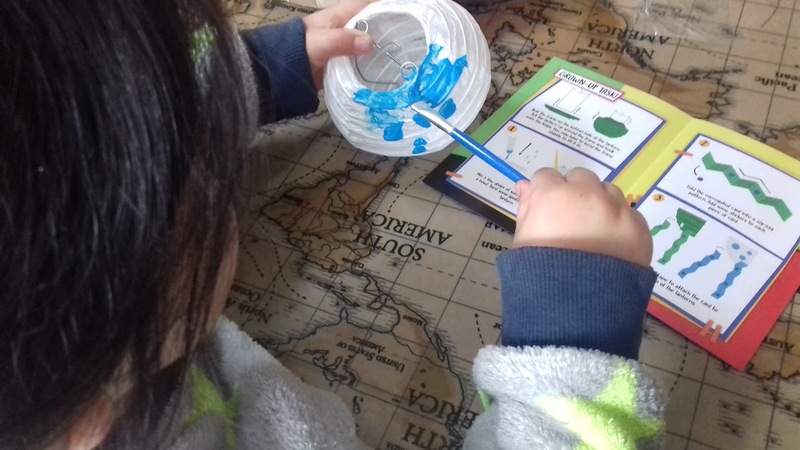 DD3 started by painting her 'octopus head', following her little instruction booklet. 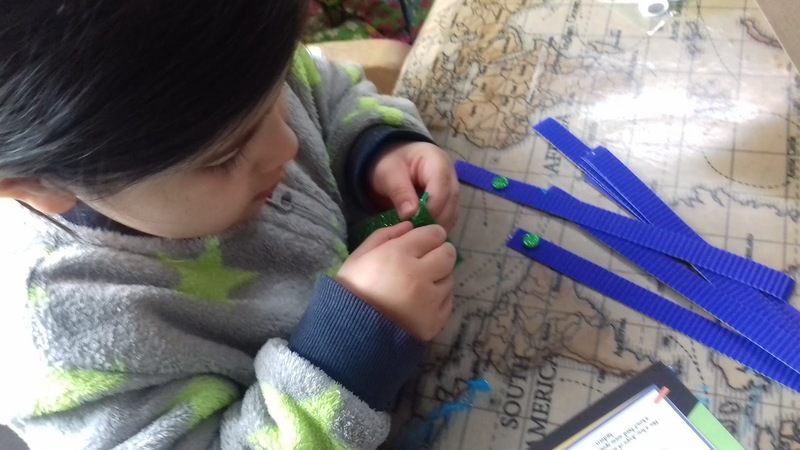 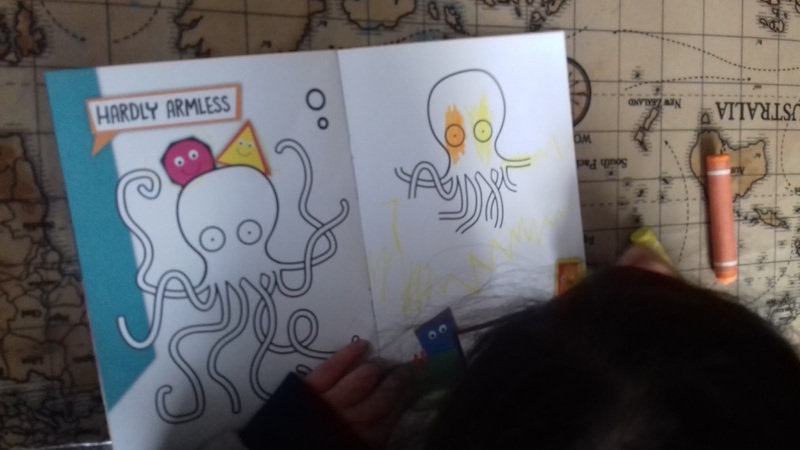 She learnt how to make folds in the tentacles and stick on the pretty, glittery stickers. 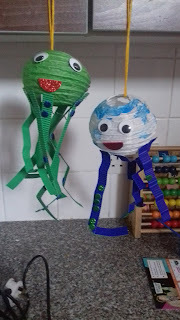 As there were two octopuses to make, DS6 joined in the fun!! 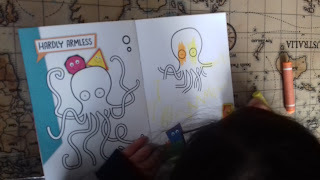 They both sat in the classroom, next to the Oceans poster, talking about what other creatures they know live in the sea. After hanging up their octopuses to dry, they tackled the puzzles and had a fab time colouring the lovely pictures in the book.